Evolution is the theme that unifies all of Biology. Let’s start with something simple: Each species is a terminal branch of the tree of life extending back in time through ancestral species. 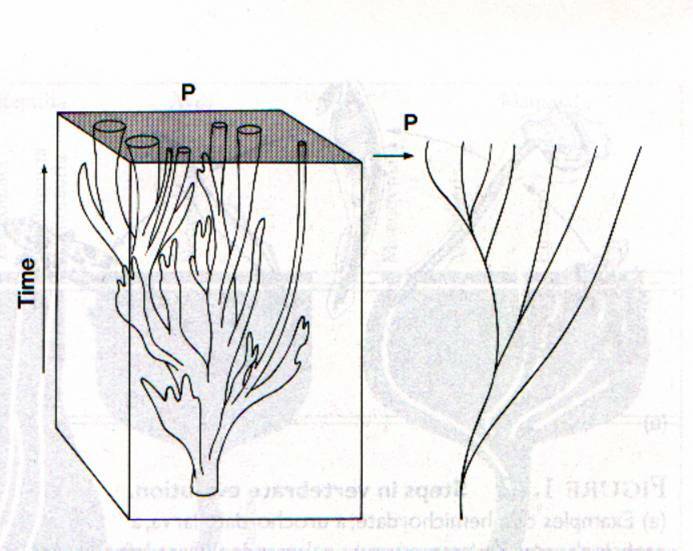 Species that have many features in common represent a recent branching point in the tree of life. 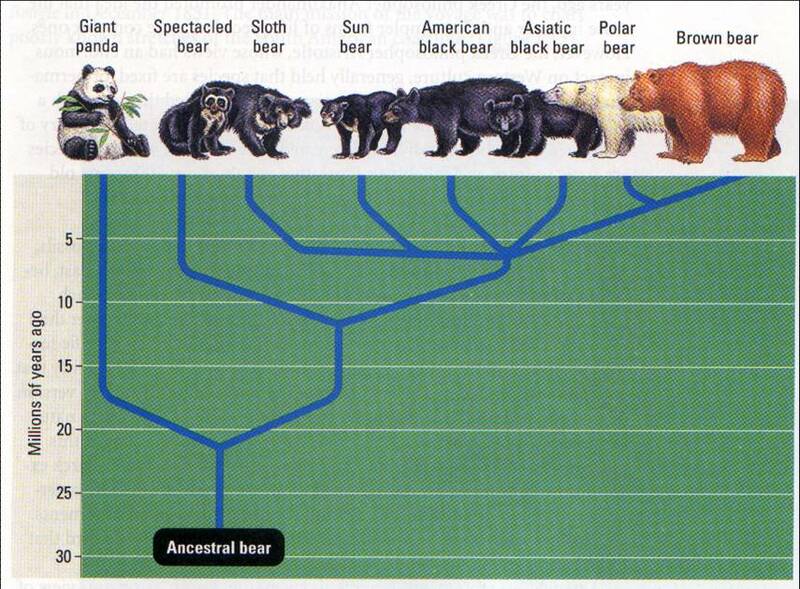 The brown bear and polar bear are descendants of a recent ancestor. Through an ancestor that lived farther back in time, bears are related to squirrels, humans, and all other mammals. What did people think before evolution? Up until 19th century Europe, species were thought to be immutable, meaning species were fixed and unchanging and do not evolve. Judeo-Christian culture fortified this idea with a literal interpretation of the biblical book of Genesis. The idea that living species do not change, and that the Earth is relatively young, about 6,000 years old, dominated Western culture for centuries. In 1650, Archbishop James Ussher of Armagh (presently North Ireland) presented a treatise explaining that he had nailed down the date of Earths creation down to October 23, 4,004 B.C. He published a 2,000 page paper explaining how he calculated the average age of each biblical personality and went backwards until the first page of Genesis to figure it out. In 1766, Georges Buffon suggested that Earth might be much older than 6,000 years. He proposed the possibility that a species represented by a fossil form could be an ancient version of a group of living species. Wow! What an amazing concept! This was never heard of before this man! This was completely against the overall fixed-species concept. In the early 1800’s, Jean-Baptiste Lamarck, a student of Buffon, proposed that life evolves. He helped set the stage for Darwin to understand that adaptations evolve as a result of interactions between organisms and their environments. Why did Charles Darwin figure it out? Charles Darwin was born on February 12, 1809. 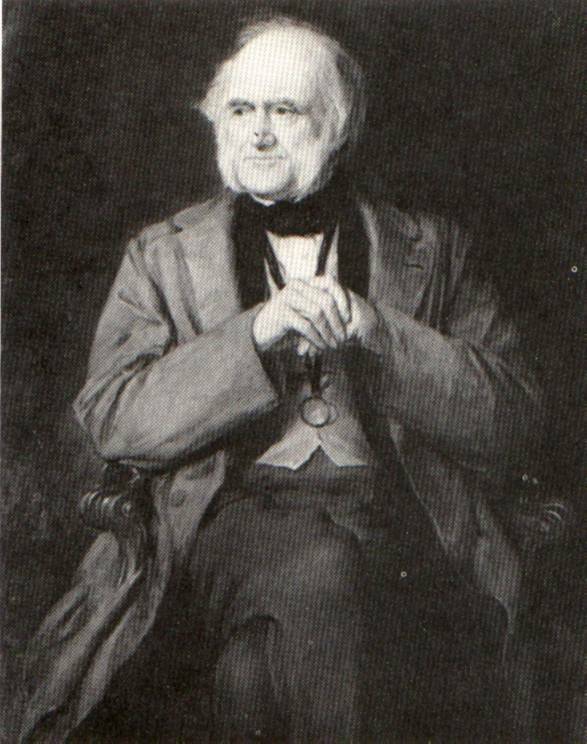 Sir Charles Lyell, geologist (1797-1875) wrote Principles of Geology and greatly influenced Darwin’s reasoning. Darwin was 22 when he set out for a voyage around the world on the Beagle, a survey ship whose main mission was to chart the poorly known South American coastlines. He spent most of his time on shore, observing and collecting thousands of specimens of plants and animals of South America. He noticed that these species of plants and animals were very different from what he knew from England. Between ports Darwin read the book, Principles of Geology, by Scottish geologist Charles Lyell. The book presented the case for an ancient Earth sculpted by gradual geological process that continue today. That info plus Georges Buffon’s fossil revelation and Lamarck’s theory of adaptions helped set his mind up properly. When the Beagle arrived to a port in Concepción, Chile, an earthquake had almost destroyed the city. He reasoned that perhaps violent and repeated earthquakes could gradually have lifted the fossil-bearing rocks of the sea floor up into the Andes mountains of Chile. A drawing of Conception, Chile in 1835 by Darwin. 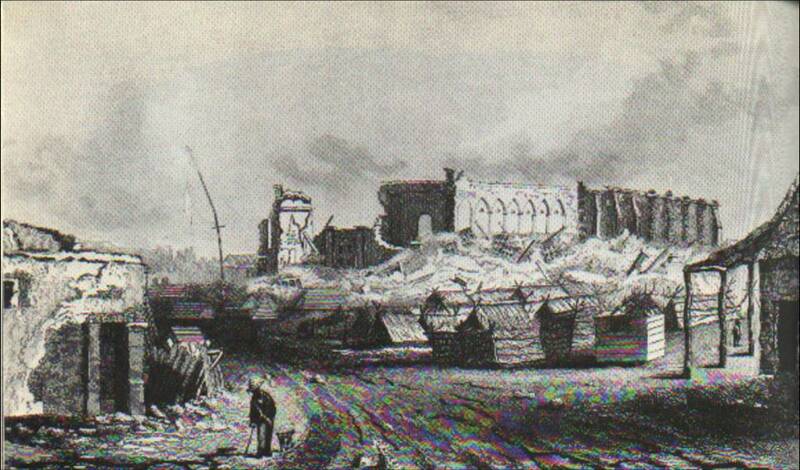 Note the cathedral is destroyed by an earthquake. 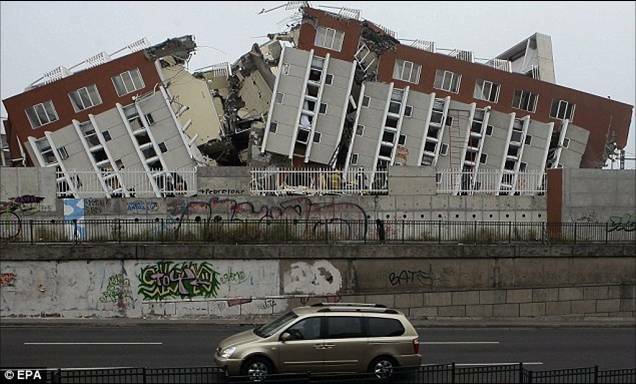 On February 27, 2010, an 8.8 earthquake displaced the entire city of Concepción 10 feet to the west. After returning to Great Britain in 1836, Darwin started reassessing what he had learned on his voyage. He wondered if some geographical barrier isolated two populations of a species, if each one would adapt to the local environment, eventually forming a separate species. 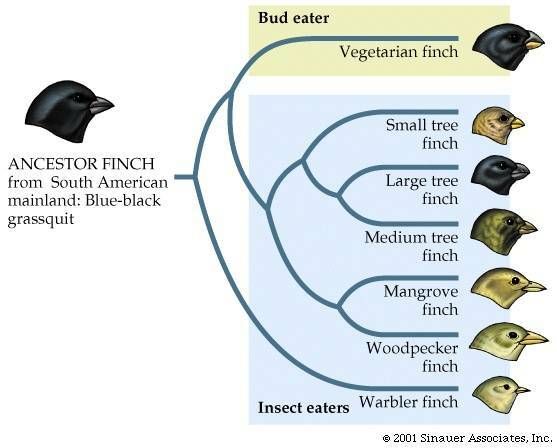 As populations diverged more in appearance and adapted their beaks for their local environment, these finches eventually formed their own separate species. By 1840, Darwin had composed a long essay describing the main features of natural selection. He realized that his ideas and evidence would cause a social furor and he delayed publication of his essay. Coincidentally in the mid 1850’s, Alfred Wallace, a British naturalist doing fieldwork in Indonesia, developed a concept of natural selection identical to Darwin’s. Two of Darwin’s colleagues presented Wallace’s 1858 paper and excerpts of Darwins 1844 essays at a meeting of the Linnaean Society of London, claiming that both had independently proposed the same mechanism of natural selection. Darwin published The Origin of Species in 1859. First, Darwin collected the available evidence in support of the view that modern species descended from ancestral species. (WOW, SO REVOLUTIONARY!) Second, Darwin proposed a mechanism for descent with modification which he called natural selection. Before the Industrial Revolution, dark moths were rare. Soot produced by pollution darkened the landscape in the late 1800’s. 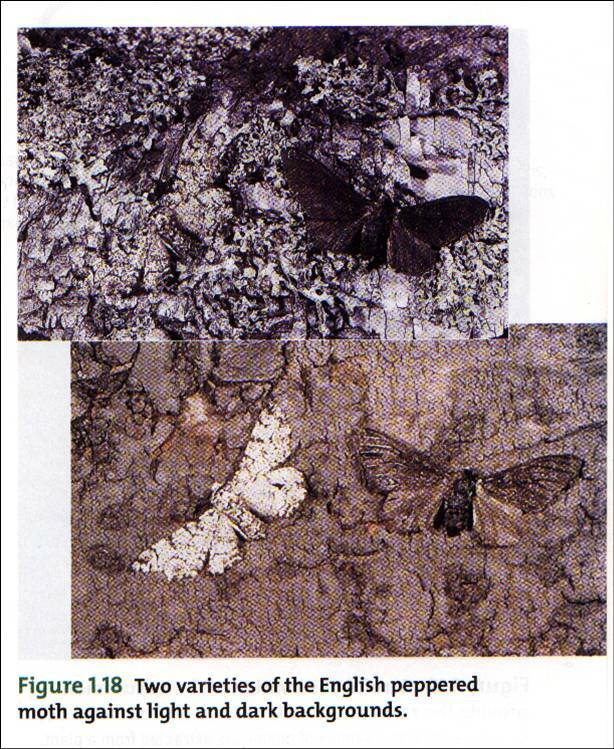 The number of dark moths compared to light moths began to increase. The same evolutionary phenomenon occurred in hundreds of other species of moths in polluted regions of Europe and North America. Pollution controls have enabled the countryside to return to natural hues. As a result, light moths made a strong comeback. Comparative anatomy confirms that evolution is a remodeling process. A shark, salamander and a cat. See the similarities? Exaptations are ancestral structures that originally functioned in one capacity become modified as they take on new functions. Comparative embryology is the comparative analysis of structures that appear during the embryonic development of different organisms. 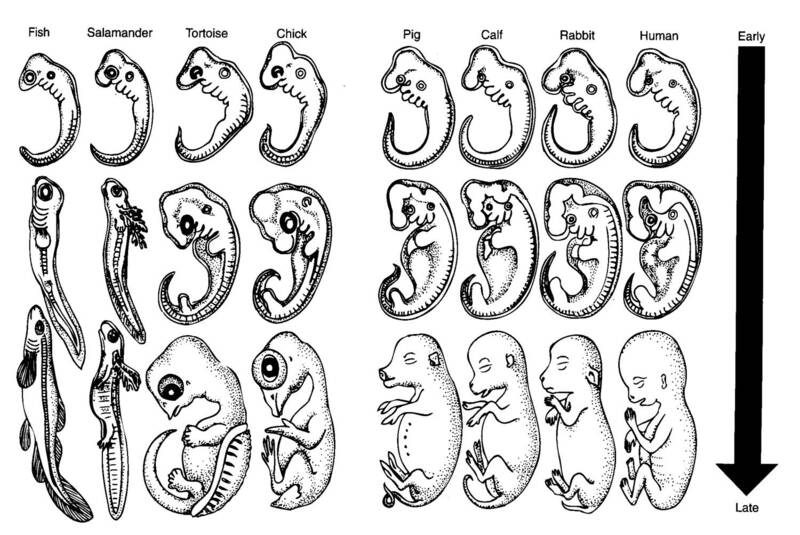 Closely related organisms often have similar stages in their embryonic development. Species which have an evolutionary relationship typically share the early stages of embryonic development and differ in later stages. The backbone is one of the earliest structures laid out in all fish, reptiles and mammals. Vertebrate embryos all have a stage in which gill (pharyngeal) pouches appear in the side of the throat. Human embryos have a tail at one point that later recedes to form the coccyx (the very bottom end of your spine) because the common ancestor of humans and monkeys had a tail. –Darwin’s boldest hypothesis was that all forms of life are related to some extent through branching evolution of the earliest organisms. –A century after Darwin’s death, molecular biology began confirming the fossil record and other evidence supporting the Darwinian view of kinship among all life. –The common signs include a common genetic code shared by all species.